As always we have a great selection of gas and charcoal BBQ’s on display and this year is no exception. We also have a wide range of accessories to help improve your barbecuing experience. If charcoal barbecuing is what you enjoy then we’ve got you covered. From Weber we have the 57cm Master-Touch in smoke as well as the new Weber Master-Touch Premium with easy flip lid hinge and a bracket fitted to the handle to make your Master-Touch iGrill compatible. In Weber’s gas range we have the new sleek Spirit II E-310 and E-320, both fitted with a GBS cooking crate as standard. Not only that, we have the Genesis II E-310 in smoke and also the Genesis II EP-335 in black with closed cart. This stylish looking barbecue comes equipped with the Gourmet BBQ System which is compatible with a great range of products to help widen your barbecuing repertoire and also has a side burner fitted for those prawns or vegetables you’ve been wanting to grill. We not only have a wide selection of Weber grills, we also have Landmann barbecues back here this season. 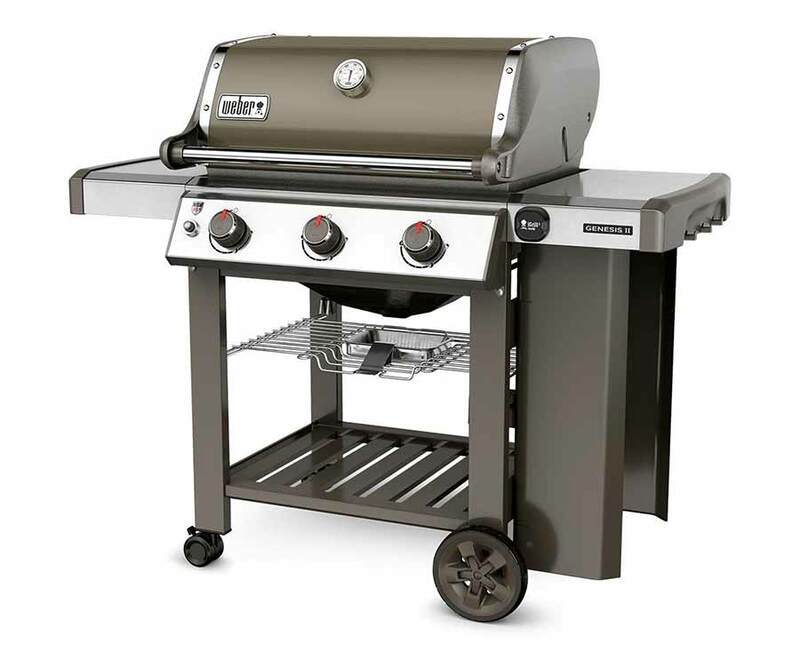 If you want reliability at affordable prices then the Triton range of gas grills is perfect for you. We also have the Grill Chef XXL Broiler from Landmann which is great if you want that authentic charcoal barbecue taste but you need the cooking area of a gas grill. If you’re worried about assembling your new barbecue then please speak to a member of our friendly staff about our assembly service.